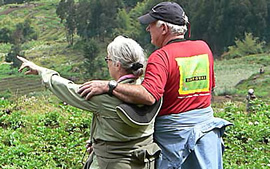 We ensure that our clients are in good health conditions throughout all our safaris in Rwanda and neighboring Uganda and the Democratic Republic of Congo. For that case, we have trained our driver guides on how to give first aid in case of emergency during the safari. 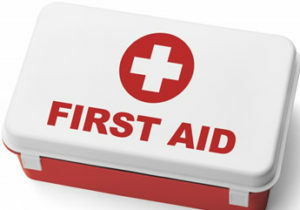 Also and all our safari vehicles are equipped with first aid kits to provide first help to our clients. similarly, our driver guides have knowledge of where modernized medical centers are located and they can, therefore, rush our clients to any nearby hospital for treatments. In Rwanda specifically, there are various emergency municipal medical response services in Rwanda. Ambulances are available in Kigali to provide high-class medical services to travelers. Outside of Kigali, ambulances are extremely scarce. Medical and dental facilities are limited, and some medicines are in short supply or unavailable; you should carry your own supply of properly-labeled medications for your entire safari in Rwanda. In Kigali, King Faisal Hospital is a private facility that offers 24-hour assistance with physicians and nurses on duty in the emergency room. You can find charitable hospitals run by U.S. organizations with some surgical facilities in Kibagora, in southwestern Rwanda, and in Ruhengeri, near the gorilla trekking area, and in Rwinkavu, near the entrance to Akagera National Park.